Putting together a vintage look can be one of the most rewarding things in the world of fashion, but knowing what to wear and how to find it can prove a real minefield. We have assembled a handy guide on how to help you get that perfect vintage look you require. Read more Men's Style Guide features. Each era will have had its own distinctive style- and it’s down to you to decide what style you want to go for. Generally speaking, the latter half of the 20th century tends to go better with a contemporary wardrobe, though clothes from earlier in the century, especially smarter styles, are undergoing a surge in popularity as well at the moment, and can also prove versatile additions to your wardrobe. Firstly, to be able to wear vintage clothing right, you’ve got to know how to buy the right vintage menswear. Spending hours at the weekend searching for vintage items in your local charity shops, is for some a preferred way to spend their weekends, but we don’t all want to spend our days off rooting through other people’s castoffs. Luckily, there are plenty of vintage style clothes available in many high street stores today, that worn right can provide you with that much desired vintage style. If you are opting to shop around vintage stores and/or charity shops, then always be wary of the condition the clothes are in. Few pre-owned vintage items are in a mint state - that is, barely worn with no signs of wear or ageing. What you should be looking for is clothes that are in near-mint or excellent condition- ones that have been worn on several occasions, but that have clearly been looked after and are well preserved. Always be wary of clothes that are listed as being in ‘good’ condition - these are often prone to stains, or tears in the fabric. Also, another factor to be wary of is how well the clothes will wash - clothes dating further back may not hold up to modern cleaning methods and may have to be dry cleaned - which as we all know, can be something of a nightmare. 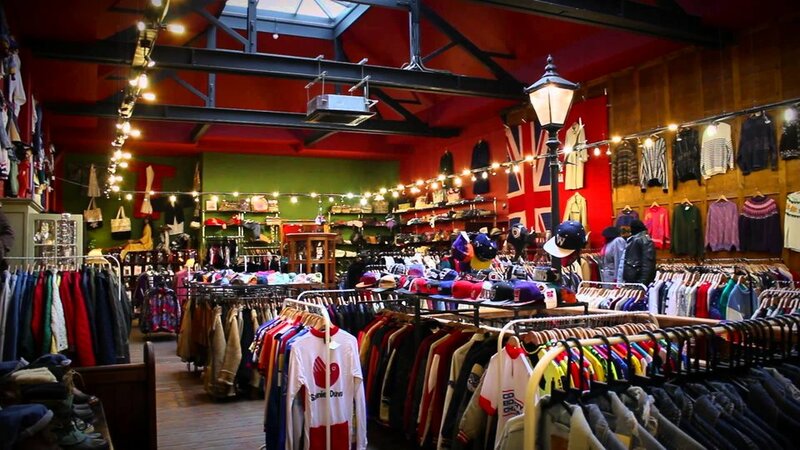 On the plus side, items that you find in some vintage clothing shops in London are likely to be unique, there won’t be more than one of them in the shop, and they can certainly help to make you stand out from the crowd, one of the key aims of the vintage look. To avoid looking like you’ve just travelled forward in time, try mixing up your vintage clothing with more contemporary pieces as well. A vintage polo shirt, or a classic Oxford shirt, can still work nicely with a pair of skinny jeans, just like a 1970’s vintage tie can work wonders for your modern work suit. Vintage doesn’t have to be a complete costume, it’s open to interpretation and is often up for trial and error. There are some vintage items that tend to be more synonymous with a certain decade than others. Dirty denim jeans with a white T-shirt and a leather jacket are a famous look, one inspired by the rebels of yesteryear- Dean and Brando. The rise in popularity of shows like Mad Men and Peaky Blinders has also seen more and more people looking to find themselves a vintage looking suit- for which the same rules apply to when buying an ordinary suit. Vintage footwear can often be the most difficult aspect to get right. Certain items, like a pair of worn Converse, are a fail safe here and will compliment a more casual vintage look, but for those going down the smarter route, a pair of winkle pickers may be favourable, these are particularly popular among those aiming to achieve the mod look from the 1970’s. A pair of classic Converse or Dr Martens are also a fail-safe option, both of these shoes are parts of an iconic style, with the converse in particular pretty much matching perfectly with any sort of casual vintage outfit.